Have you seen The Streets live on the Computers and Blues tour? Have you been rocking out to those bass rhythms? Did you think that bass player looked familiar? and have you wondered who is responsible for laying out those live beats? Well LikeTheSound certainly did, so I was very grateful when The Streets bass player took some time-out to chat to LikeTheSound despite being busy on the road between Manchester and Brighton on The Streets - wonderfully messy and deeply emotional - Computers and Blues tour which closes the legendary live experience that is The Streets. 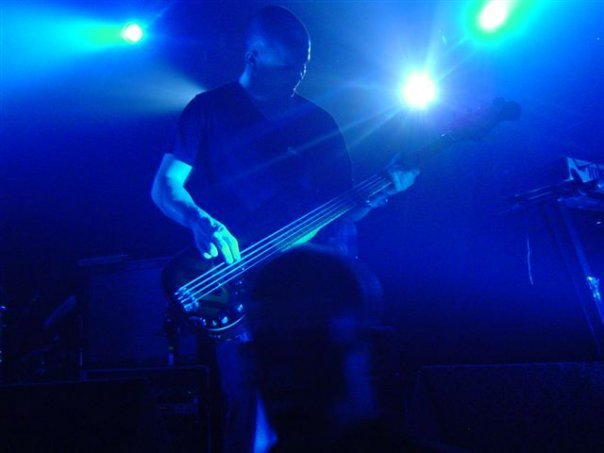 Read on and pay some respect to Stuart Coleman, The Streets final bass player. Addolorata : Hello Stuart, how are you today? Addolorata : A proper Spring day! You used to be in The Music with Robert Harvey didn't you? Stuart :Yes, we have been playing music together for around 15 years, since we where at school. Addolorata : Whose decision was it to close The Music? Stuart : It was a joint decision. We felt as a band the magic had been lost somewhere down the line, it wasn't enjoyable anymore and started to feel like we were going to the studio to work rather than enjoy the creative process. Addolorata : That is a respectable decision to make but how did you feel when it was done? Stuart : Not great, The music was and still is a huge part of my life. Its hard to let go and embrace change but you need to pick yourself up in life and carry on. I'm just glad it ended on a happy note and i can look back on what we have achieved with pride. Addolorata : What have you done between then and now? Addolorata : Did Robert Harvey introduce you to Mike Skinner? How did you get together? Stuart : I first met mike years ago.we both have the same manager and our paths crossed a few times along the way whilst The music and The Streets where on tour. Ive always loved The Streets and wanted to play bass for mike so i mentioned to my manager if the opportunity ever arose that i would love to do it. Addolorata : Has it been hard learning all the riffs for The Streets songs? Stuart : The bass lines have been somewhat easy to pick up. Ive played some of his bass lines before just jamming at home. The hardest to learn however was Trust me, there's one part in it that is a challenge to play but i love playing it. Addolorata : You have been touring with The Streets throughout February and into March, how has it been for you so far? Do you get nervous? 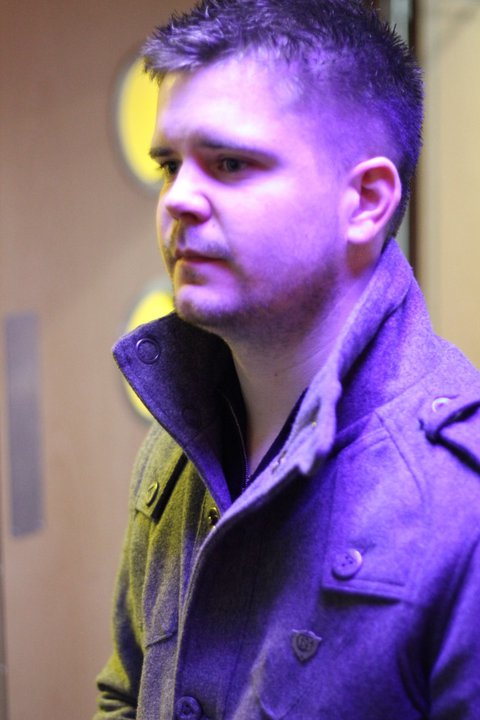 Stuart : Its been brilliant, I'm really enjoying playing live again. I was a bit nervous at first just because playing with The Streets was all new to me and i didn't want to put a foot wrong and let people down but once i got a few shows in i got my confidence. Addolorata : What is your favourite Streets song? Stuart : There's so many to chose from. Today I'm going to say Lets push things forward. Addolorata : Good choice, funnily enough, Robert Harvey told me last year that when he thinks back to first hearing 'Let's push things forward' he remembers a feeling of hope and a knowing that this was something great. It is great! he said, how about you? Stuart : It was one of the first songs i heard by The Streets, and its one of my favourite songs to play live. Addolorata : How does it feel to be The Streets final Bass guitarist? Stuart : I feel very honoured to be the final bass player for the streets. Mike has had some very talented bass players in the past and i feel proud to part of them. Its great to be involved in something so special that will be remembered for a very long time. Addolorata : Do you play any other instruments? Stuart : I play a little bit of guitar and drums but I'm no master at either. Addolorata : Which guitar have you taken on the Computers and Blues tour with you? Stuart : Ive taken my 1969 fender precision which is my main bass and a fairly new fender precision as a spare. Addolorata : What is your dream guitar? Stuart : An earlier version of the bass i play.1950's. Addolorata : Who is your guitar hero? Stuart : I don't really have one hero. When i was growing up, learning to play bass my idol at the time was Flea. Now i have respect for many bass players, Tim Commerford, Jah Wobble, James Jamerson, Jean Jacques Burnel, are just a hand full. Addolorata : What is next on the agenda for you after The Streets? 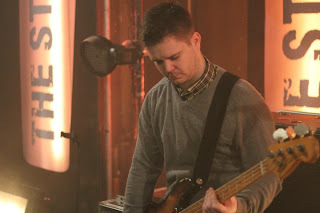 Stuart : I'm not sure, but I am sure that i want to keep playing bass live. Thank you for your time Stuart, I really enjoyed that. Hurrah for Birmingham City and Mike Skinner!